A Recent Smartphone or Tablet! Check for this first; there’s no point continuing without it. You’ll need a smartphone or tablet that supports Bluetooth 4.0 LE in the hardware and operating system. Recent versions of the iPhone and iPad both work, as well as the latest round of Android phones and tablets. Some laptops may work too! If you’re not sure, it’s easy to test for this: download and try one of the Bluetooth apps mentioned on the “Use It!” page of this guide. Older devices and OS versions (not supporting Bluetooth 4.0 LE) aren’t compatible, and the software will simply refuse to work. Authentic top hats can be quite costly, so I searched eBay for an inexpensive costume-grade substitute. Several sizes were available. Though my own head measurement suggested a medium hat, I selected large, anticipating different people will want to try it on. The hat can be padded with craft foam for a smaller head, but you can’t squeeze a too-small hat on a larger head. Most top hats are slightly tapered one way or another. It’s unlikely you’ll find one with exactly straight sides, but try to find something as close to straight as possible, so the circumference is fairly uniform (we’ll tweak this later). The cheap paper Pilgrim hats at the party store are much too tapered, don’t use these! Make sure the sides of the hat are tall enough, 4 inches (10 cm) minimum. You don’t need to go all Lincoln stovepipe unless that’s the look you’re after. We’ll make our hat using a headerless Arduino Micro. It’s simplest if you follow suit — we know the board works for this project. An Arduino Leonardo could also work, it’s just bulkier. The Micro is small enough to be hidden discreetly inside the hat, providing a little protection from the elements. 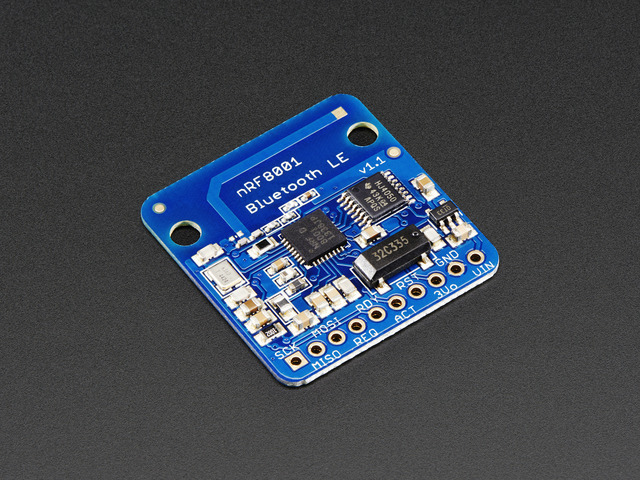 The Bluetooth library and all those NeoPixels require a lot of RAM, and most mainstream ATmega-based boards (Uno, Boarduino, etc.) won’t work. The Arduino Micro’s 32U4 processor has an extra 512 bytes of RAM that turn out to be critical to this project! Cutting-edge boards like the Arduino Due, Netduino or Teensy 3 are unlikely to work here — though powerful, they’re based on different processors and only “mostly” Arduino compatible. Trinket and Gemma lack enough RAM, and an Arduino Mega is just overkill. Arduino Micro or Leonardo for this project. Anything else is a bag of hurt. 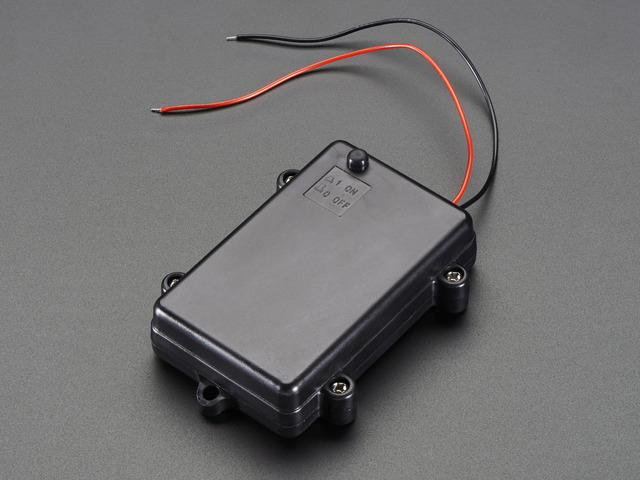 Three AA alkaline cells (4.5V total) — cheap and easy, this is what we’ll use for ours! Don’t exceed 5 Volts, or you’ll damage the LED strip and Arduino! If using a 4x AA battery holder, only use NiMH rechargeables; do not install four alkaline cells in series, these have a slightly higher voltage. 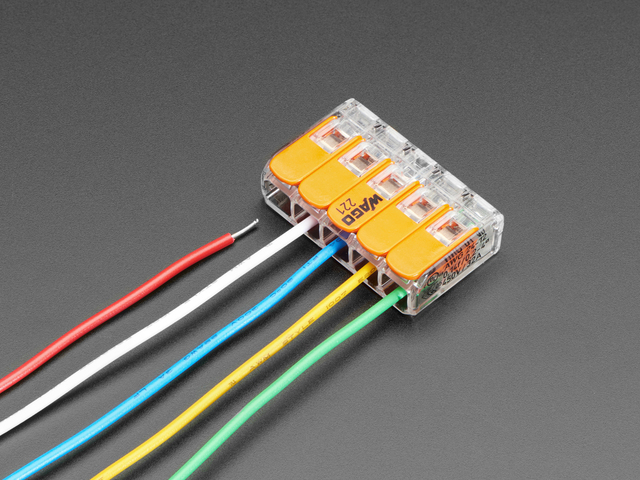 NeoPixel strip is sold by the meter. If you add four meters to your cart, you’ll receive a contiguous 4-meter reel. Tools, Craft Supplies and Maker Ingenuity! The exact construction techniques will depend on your particular skill set and the materials you find most readily available. At the very least, you’ll need a soldering iron, wire and related paraphernalia. Read through the rest of the guide first for some material ideas, or devise with your own. You’ll probably need a couple different types of tape or glue, thin plastic or card stock, perhaps small zip ties, Velcro or magnets. You’re powering FOUR METERS of NeoPixels off a set of AAs? Are you DAFT? I was surprised by this too! It’s possible if the brightness is kept low and only a fraction of the pixels are on at any time (our code displays text on a black background). 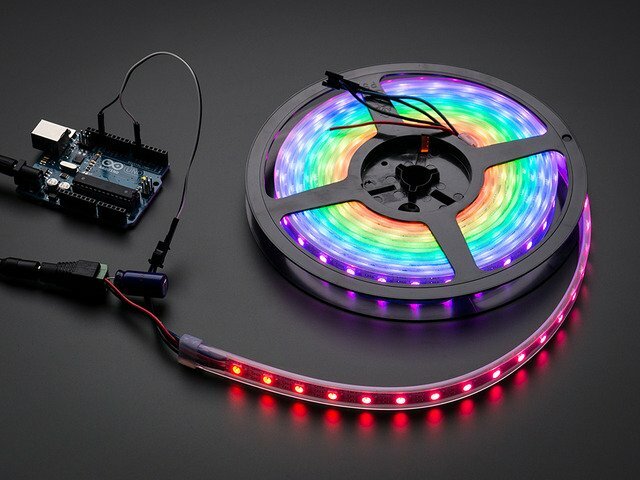 The 4m reel draws about 200 mA with all pixels off (the driver chip inside each NeoPixel draws a tiny bit of current, and there’s a lot of NeoPixels). With brightness set at 1/8 max, various scrolling messages and colors range roughly from 250 mA to 450 mA. One set of AA cells can run it for hours! This guide was first published on May 01, 2014. It was last updated on May 01, 2014. This page (Tools and Supplies) was last updated on Apr 20, 2019.